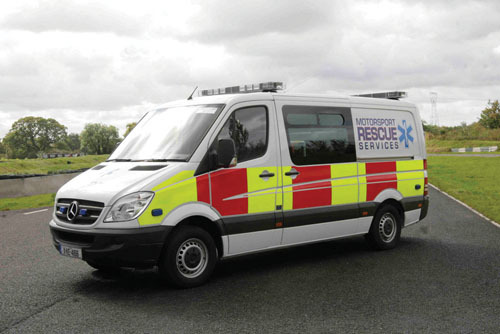 Motorsport Rescue Services - the longest-running and most-celebrated rapid-response safety team in Irish motorsport – has equipped itself with a Mercedes-Benz Sprinter 315 rapid response ambulance unit for use at events here and overseas. Familiar to drivers and motorsports enthusiasts since its inception some 30 years ago, Motorsport Rescue Services has provided extrication and emergency medical support at most motorsport events in Ireland. Staffed by highly trained volunteers, including fire and health services paramedic personnel, Motorsport Rescue Services is at the forefront of motorsport safety. The new Sprinter has been fitted with racking systems to transport its state-of-the-art emergency medical and extrication tools and a full three-point safety restraint system for each crew member.